this will be the summer of the salad for me. today, i had baby eggplant and fresh mozzarella on hand that i needed to use up. what’s better than something fried in a salad? Maybe grilled zucchini slices? I’m not a huge eggplant fan. I think grilled zucchini would be lovely and even give the salad some extra depth of flavor. 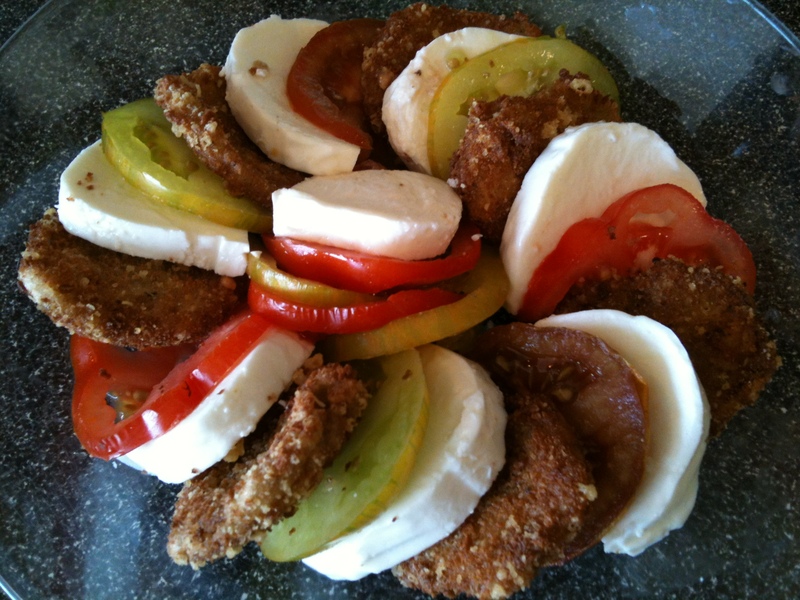 What a nice counterpoint: crunchy-warm eggplant, juicy tomato and creamy mozzarella. welcome aboard! please let me know if you like it!